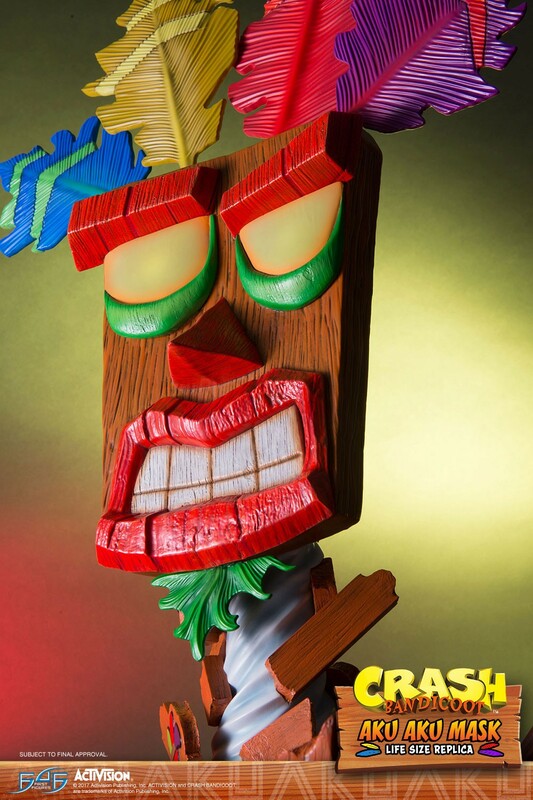 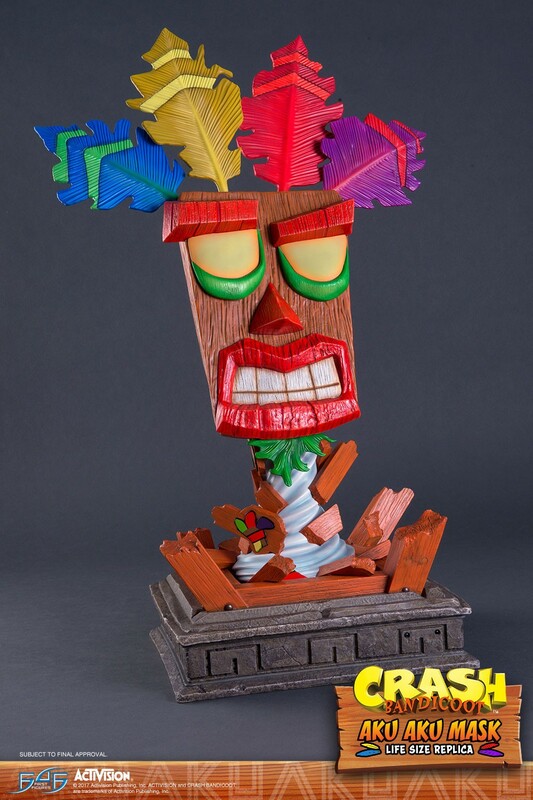 Click here to enter for a chance to win an Aku Aku Mask! 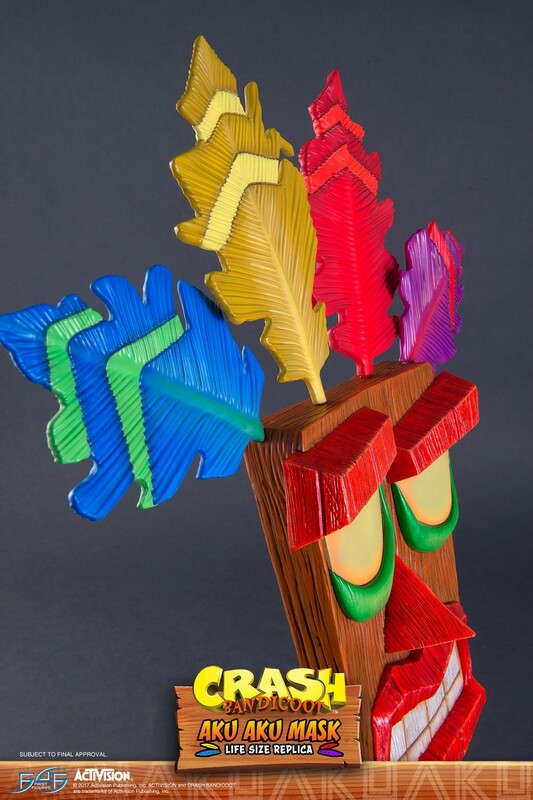 Aku Aku is a good hearted, happy, and peaceful being. 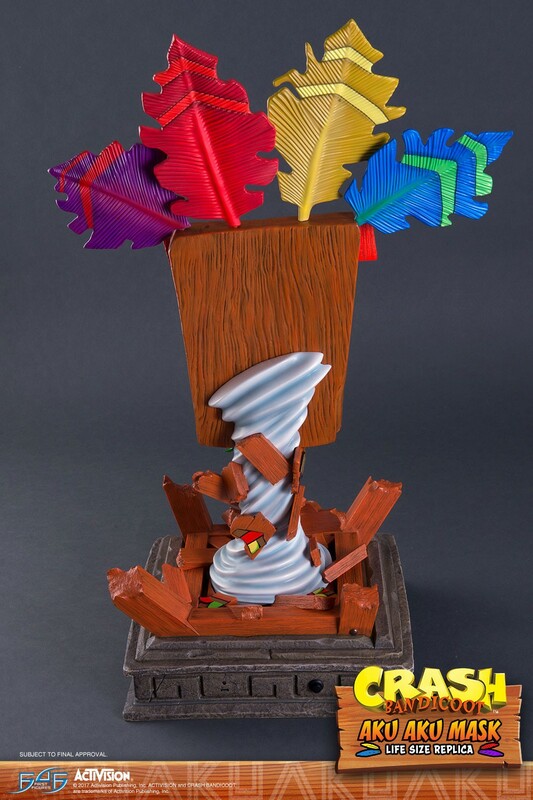 At the same time, he knows when to take important matters seriously. 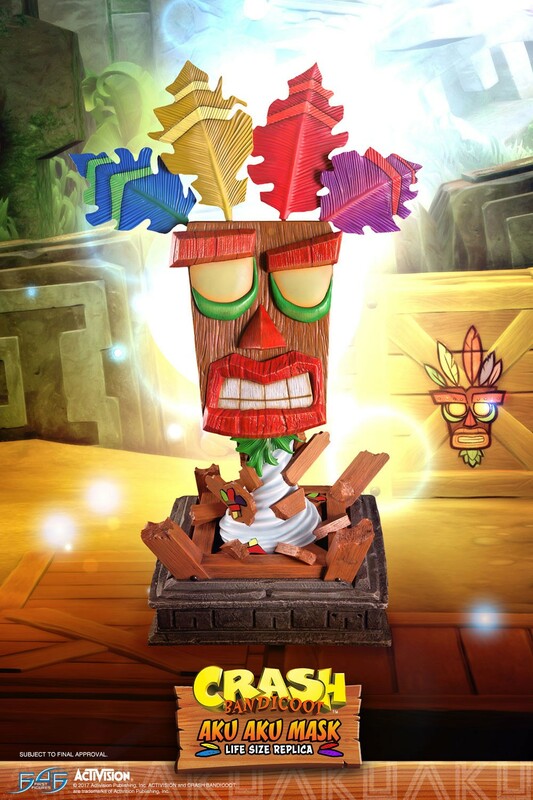 He is also obedient to the rules of his superiors who are called "The Ancients". 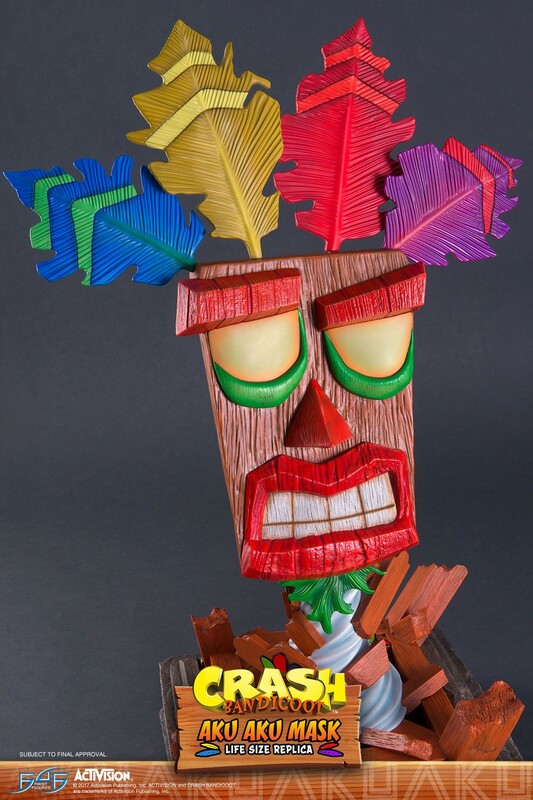 They are mysterious beings who have strangely never been seen. 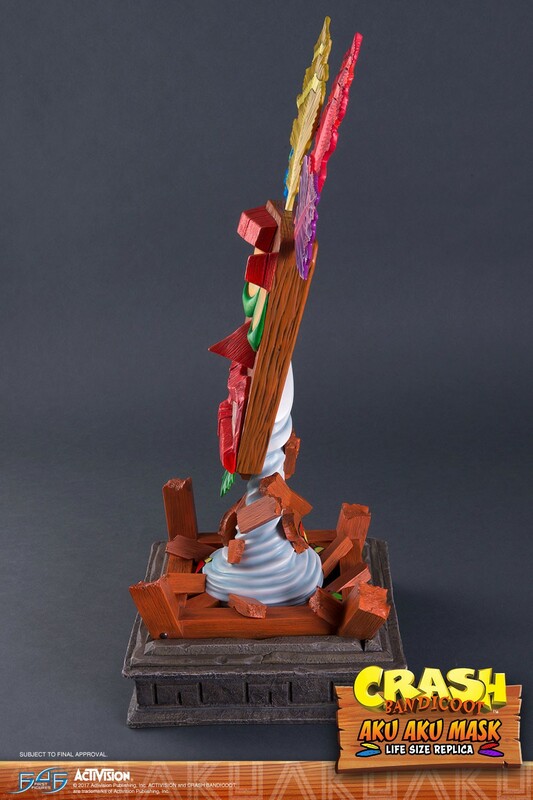 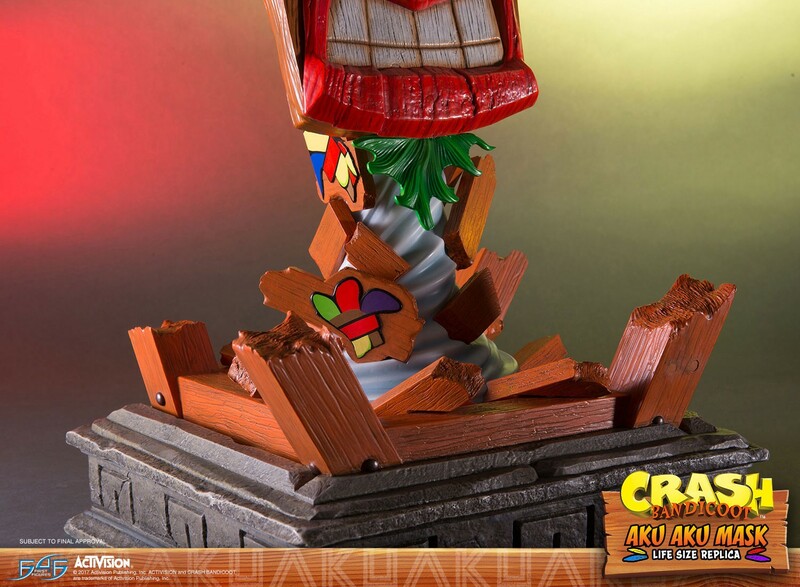 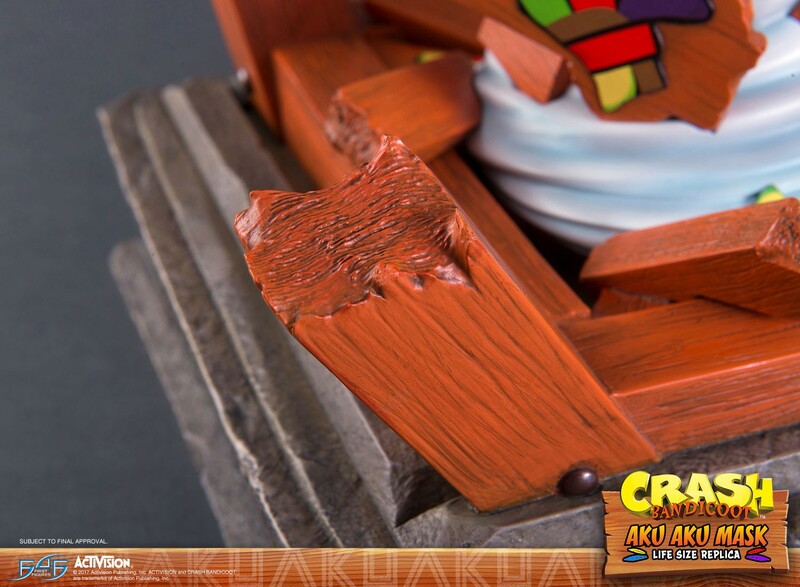 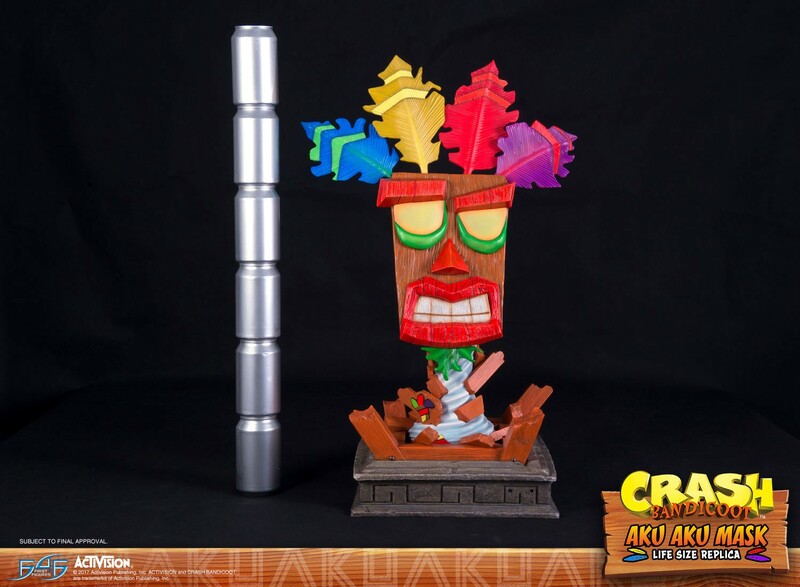 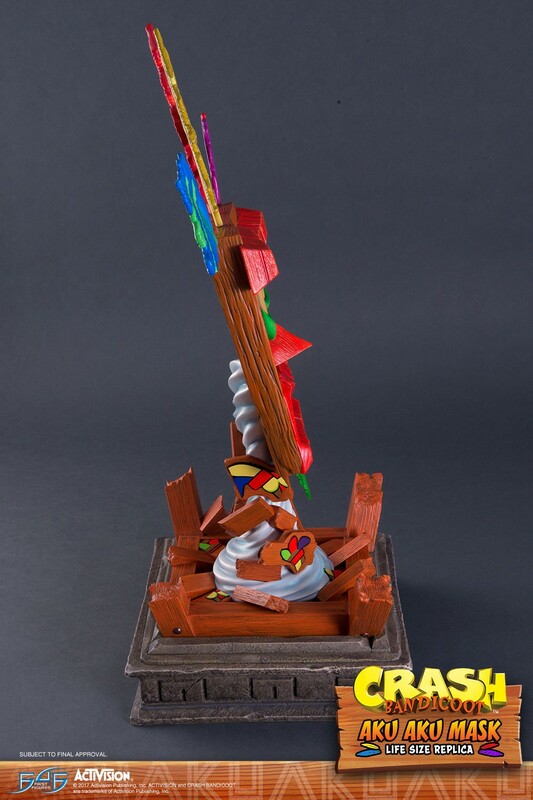 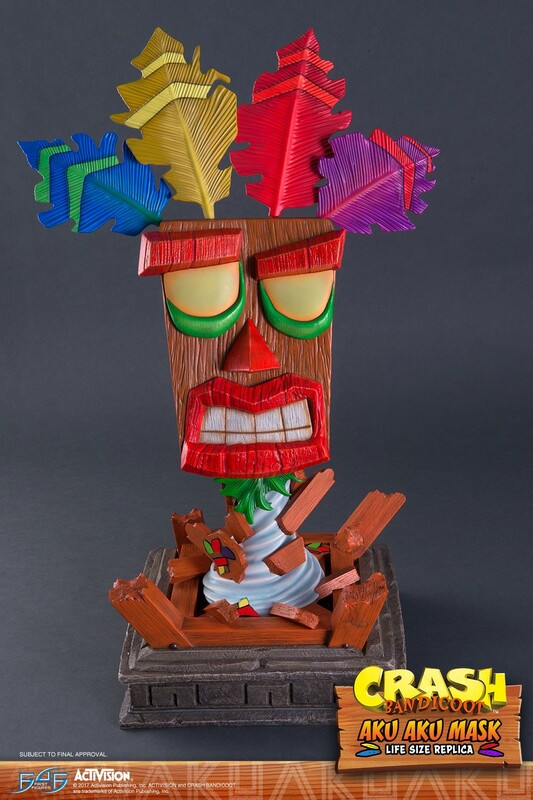 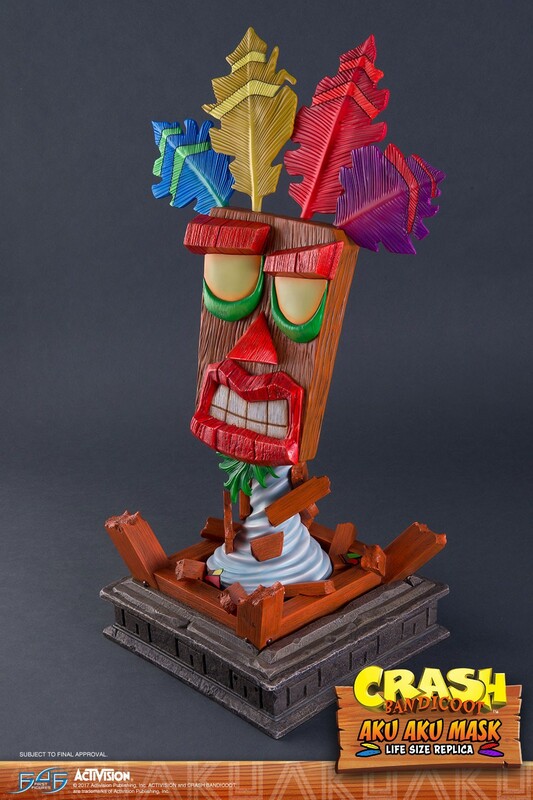 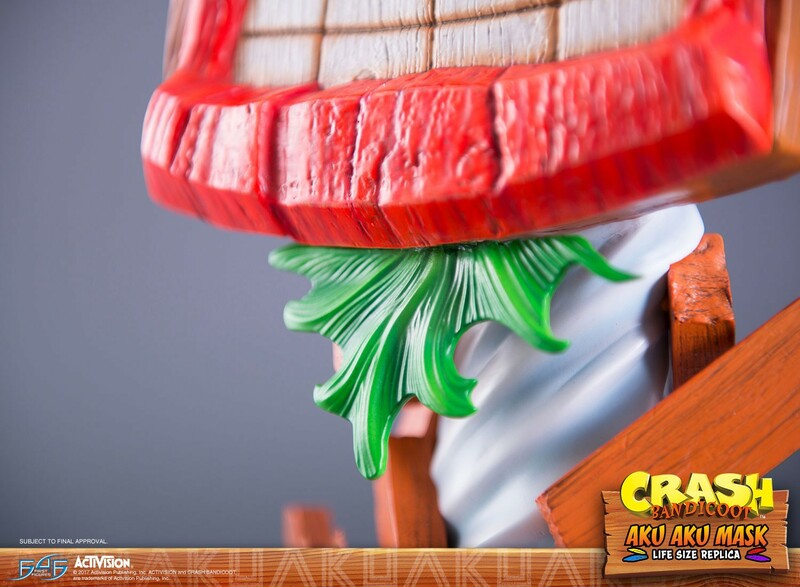 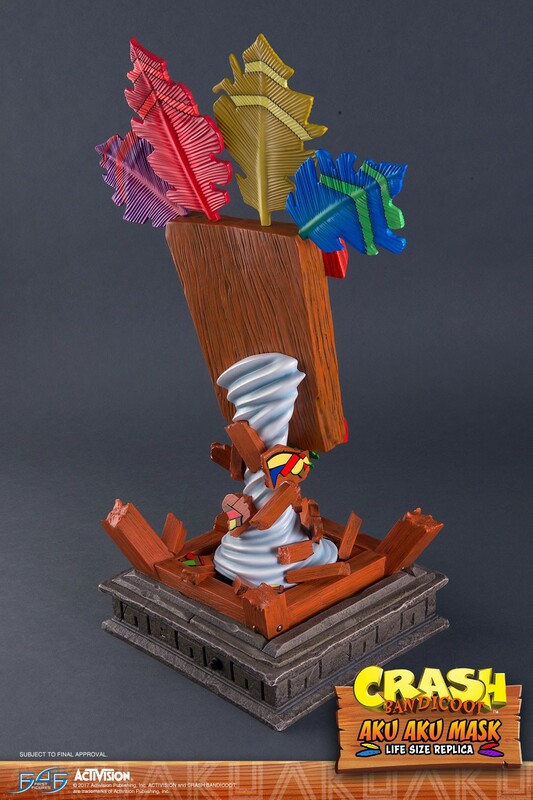 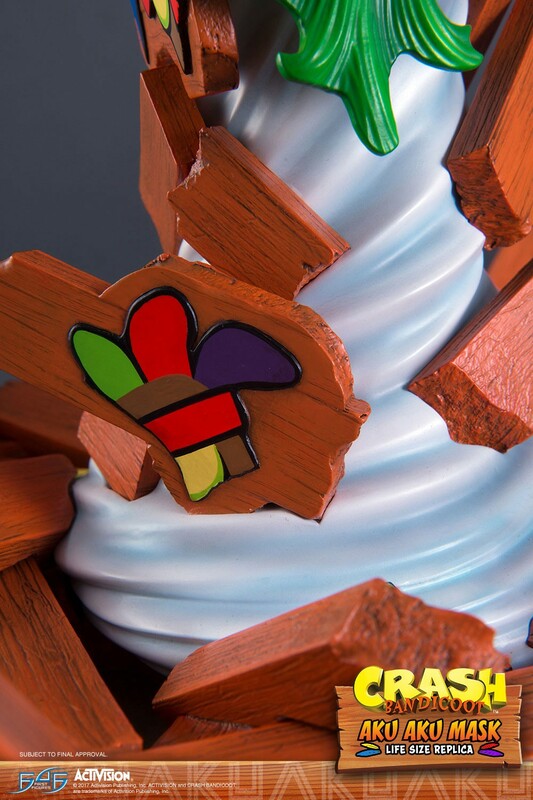 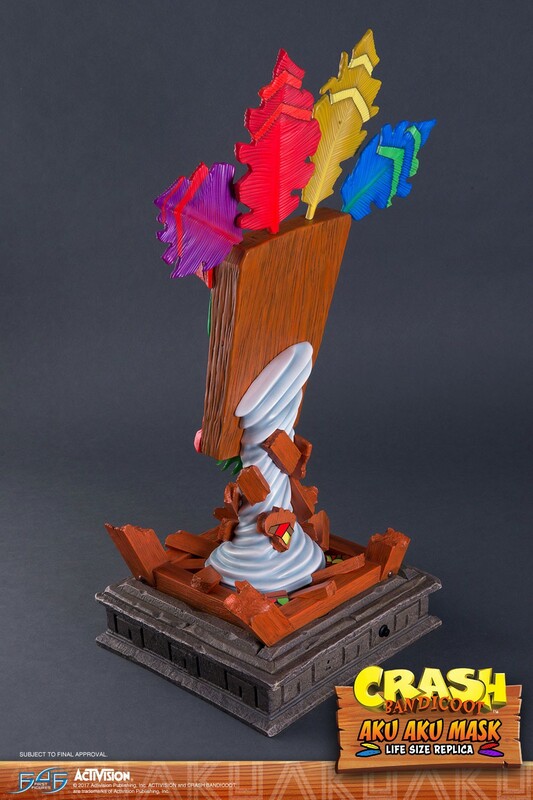 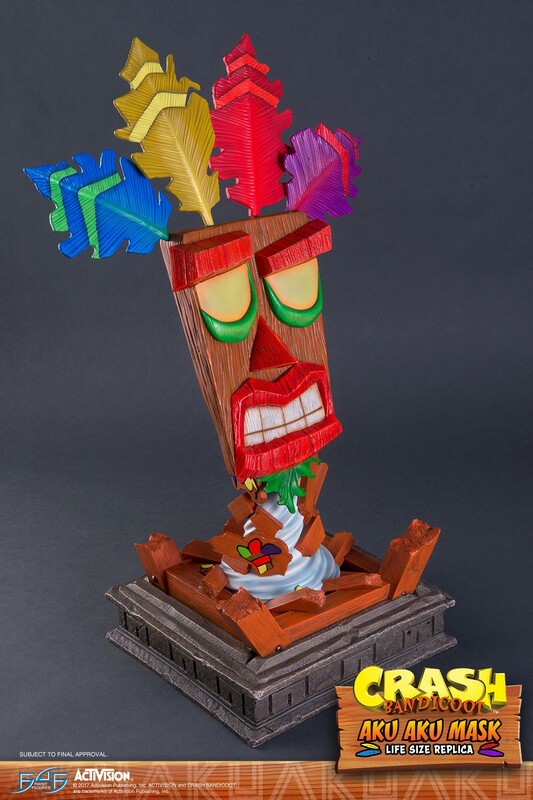 Highly detailed base presented in the form of a broken Aku Aku Crate in which Aku Aku is released from just like in the game. 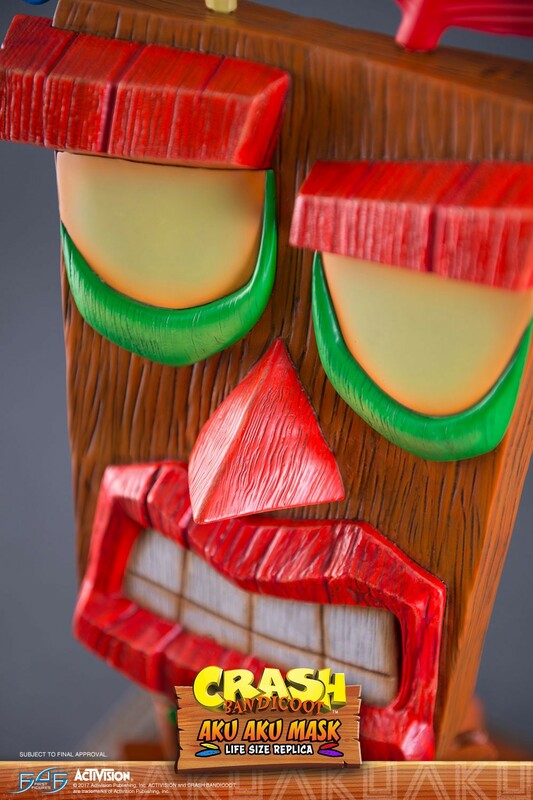 NOTE - You must come back to the website on 28th November 2017, log into your account and VALIDATE your order to confirm your chance of a low number. 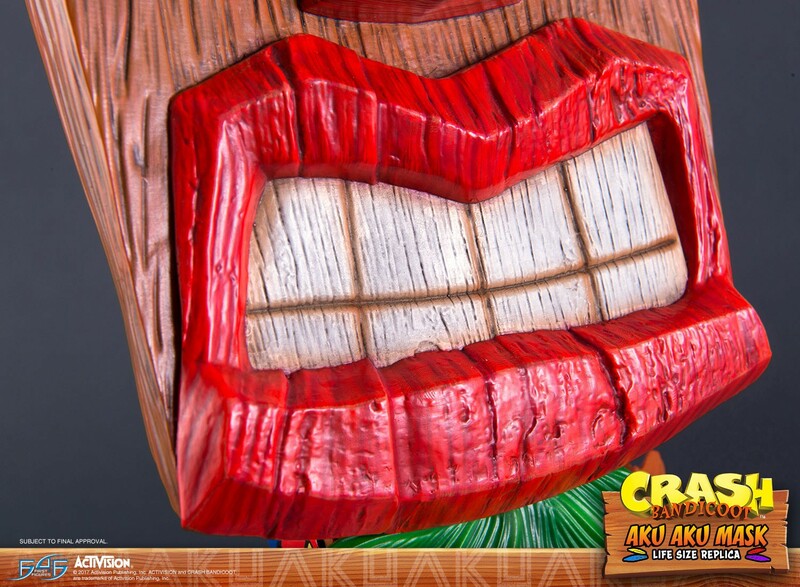 Everything you need to know (and more) about the Aku Aku Life-Sized Mask pre-orders. 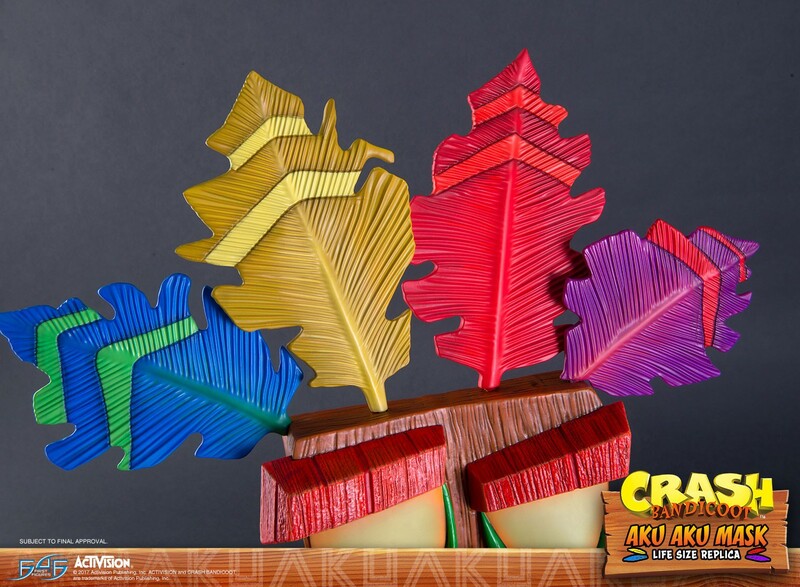 The teasing has now come to a close and it is time to finally solve the Aku Aku riddle.